Welcome to the Oregon Association Chiefs of Police. We are pleased that you have decided to apply for membership in our association. Please read the following information, click on the appropriate application form above, enter all required information and click “submit”. Please give us a call at (800) 784-2867 if you have any questions. Membership applications must be approved by our Board of Directors. The Board meets four times a year, generally in January, April, June and September. Once you return your application to the OACP office, the membership committee will review it and forward it to the board for approval at their next scheduled meeting. Make sure you have a current Active Member sign your membership form as a sponsor! The Oregon Association Chiefs of Police has two membership categories: Active and Associate Members. Please see the descriptions below to determine which category you are eligible for. 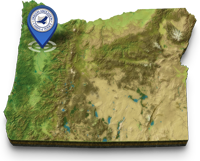 Active membership includes any Chief of Police of any city in the state of Oregon, any Assistant Chief of Police, or those who by their title, are designated by the Chief of Police to carry on the duties of a Chief of Police during the absence of such Chief from his/her city in Oregon. Active members seeking to hold office in the association must possess a minimum of Management level training certification from the Department of Public Safety, Standards and Training (DPSST). For further information click on link above right. Associate membership includes persons who were previously certified by the Department of Public Safety, Standards and Training (DPSST) or State Police or a Federal Officer who is currently employed in management of security and/or investigation of criminal activity relating to private enterprise, financial or banking or public utilities in this state, or other persons who are distinguished because of their office, title, or special service to the Association. Associate members may not vote and may not hold office in the association. For further information click on link above right. When you apply for membership you will submit payment for dues that are prorated based on your date of application as follows: January (100%), April (75%), June (50%), September (25%). At the beginning of each year members will submit a Dues Renewal form and pay the full membership dues for the year. If a member does not submit the renewal form by Feb 15th, their membership will be placed in an Inactive mode. Chiefs of Police (first member from an agency) pays amount dependent on city population (see chart). All other members from an agency pay $150 per year for membership. All Associate members pay $150 per year for membership.